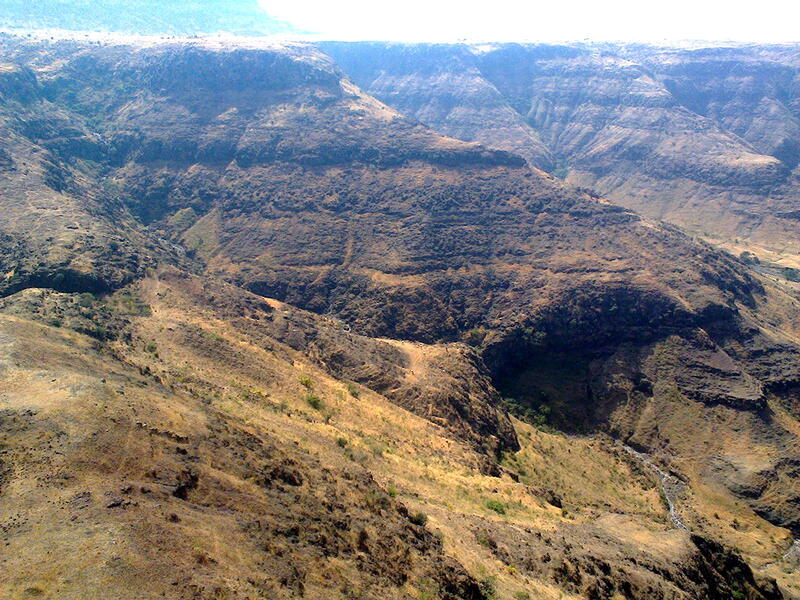 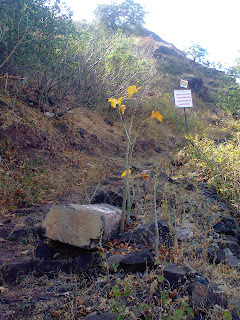 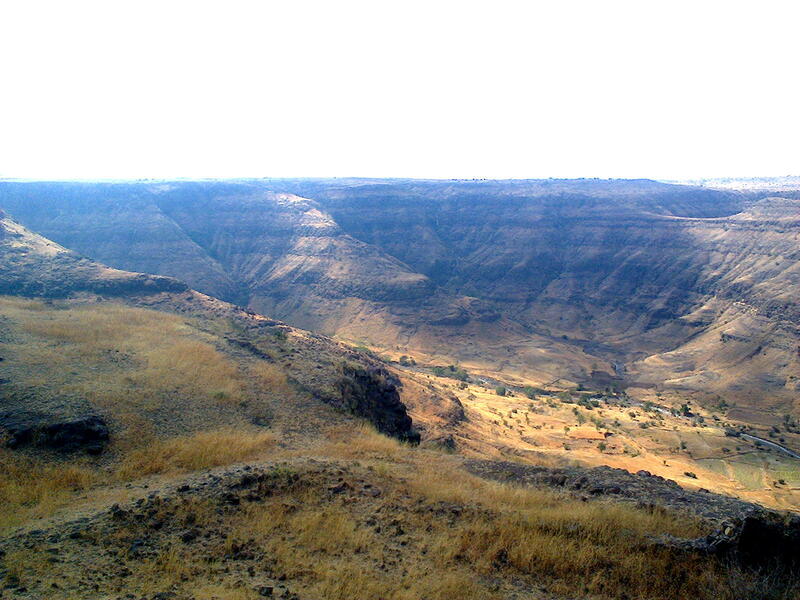 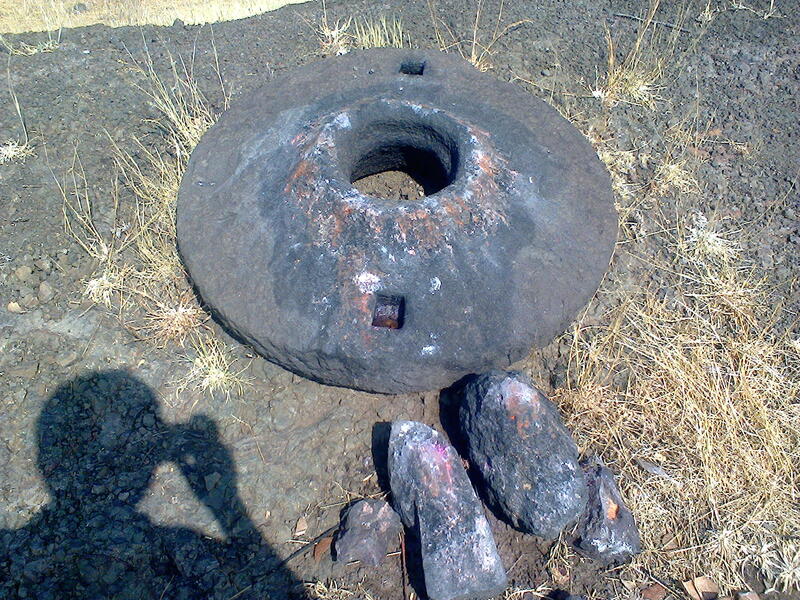 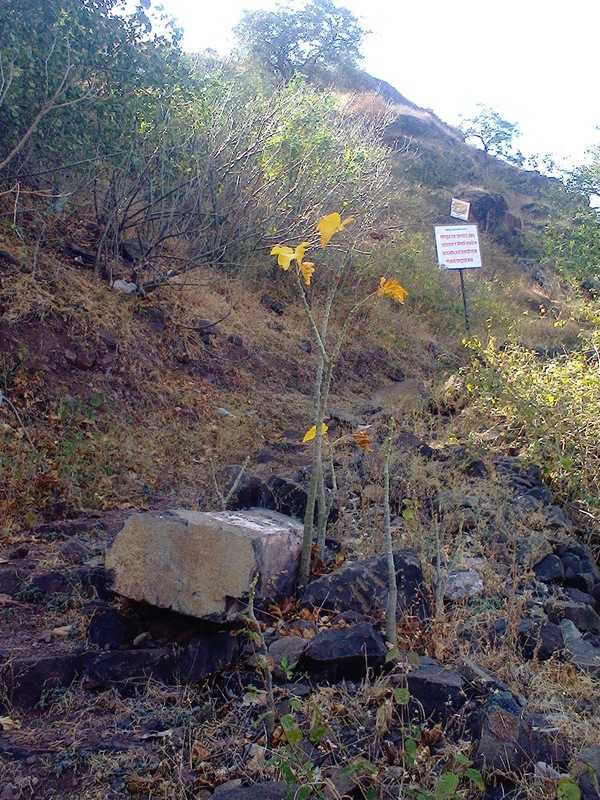 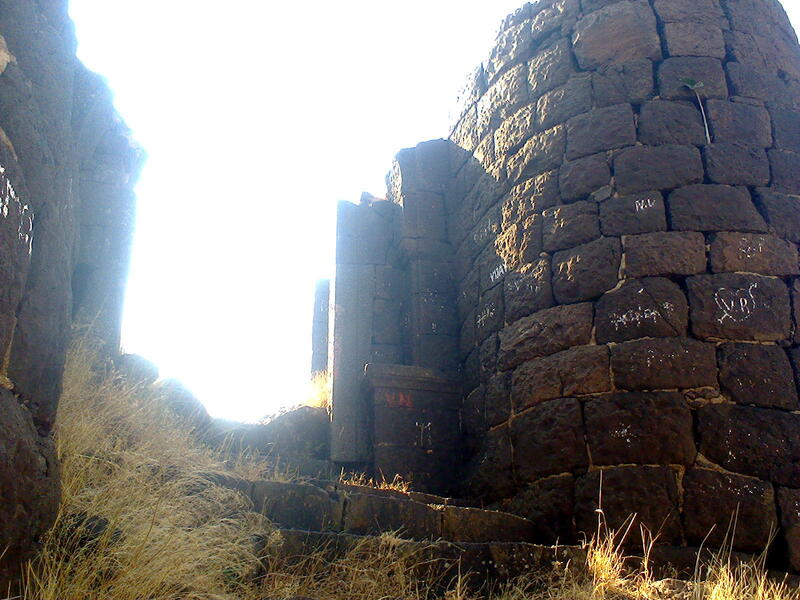 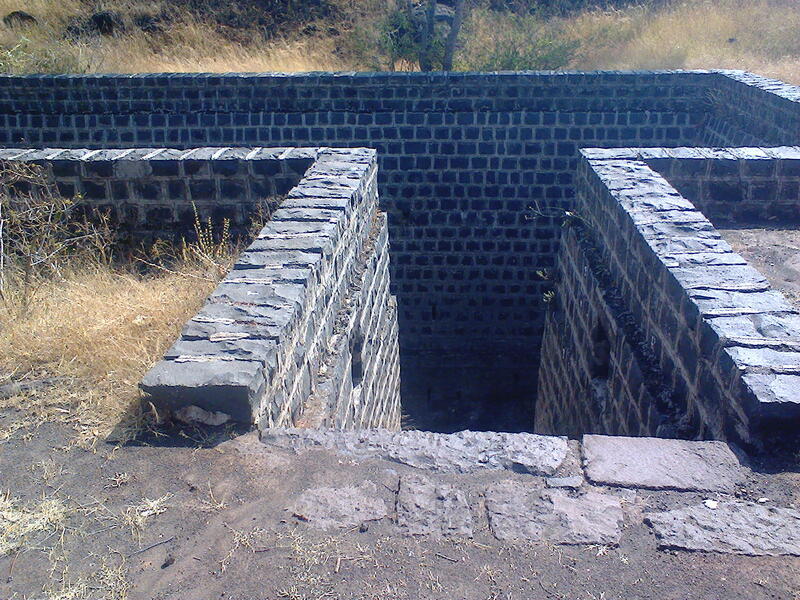 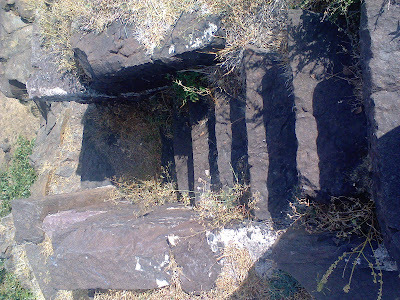 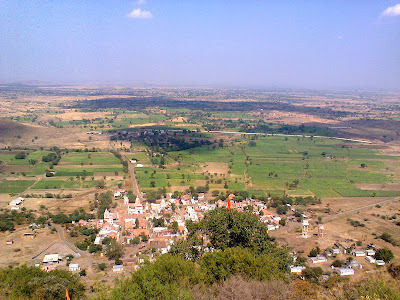 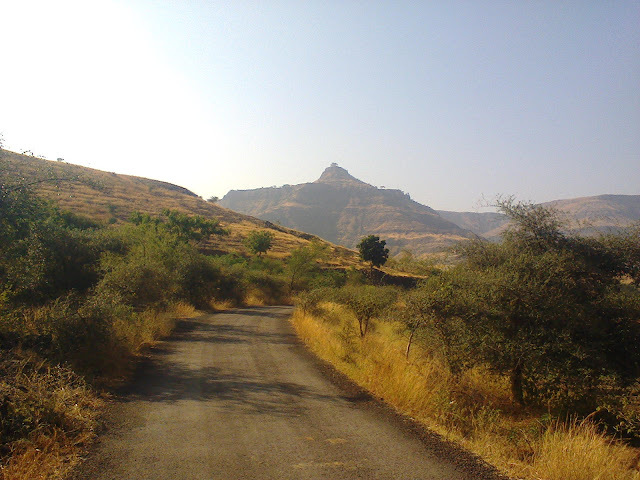 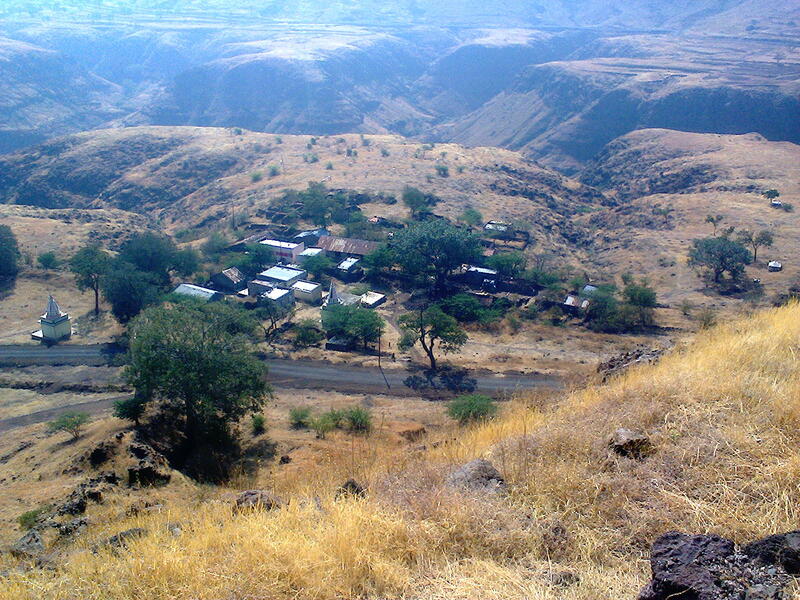 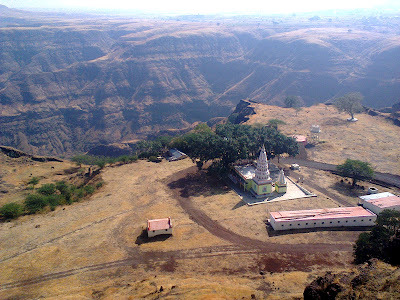 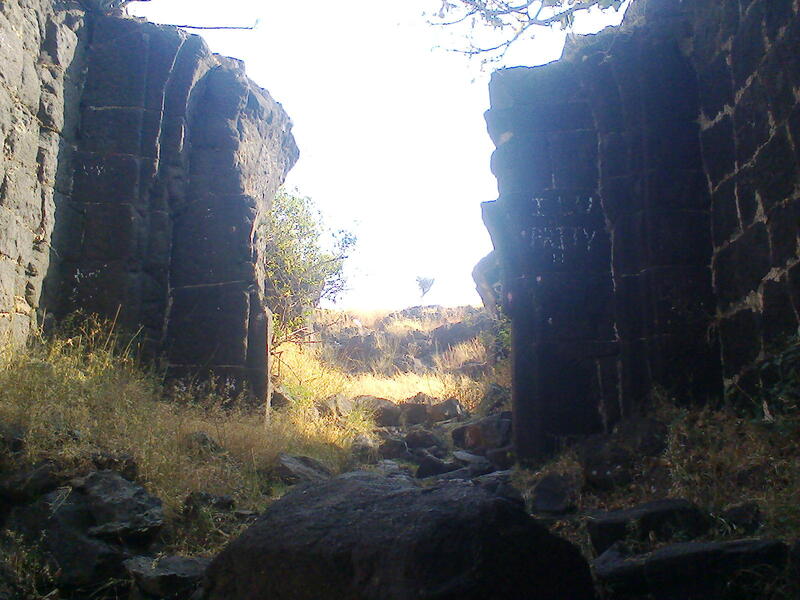 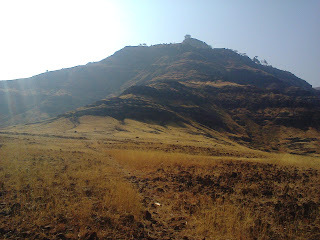 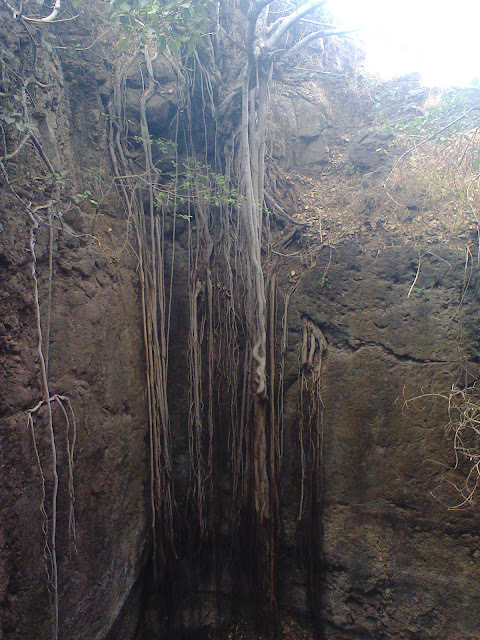 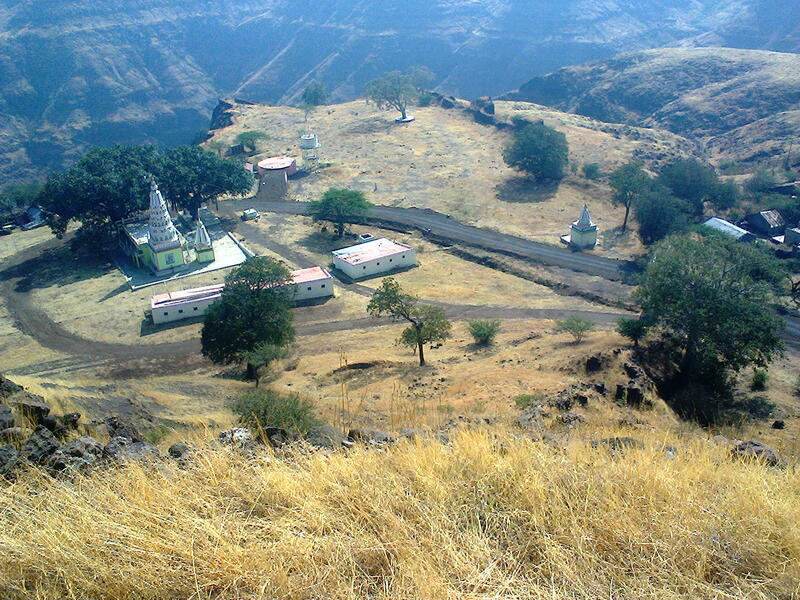 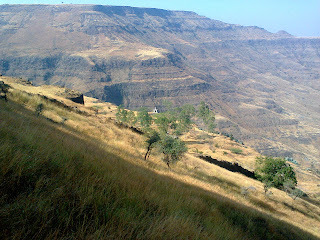 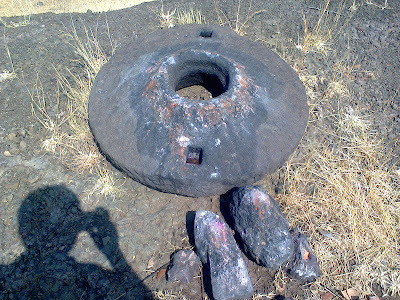 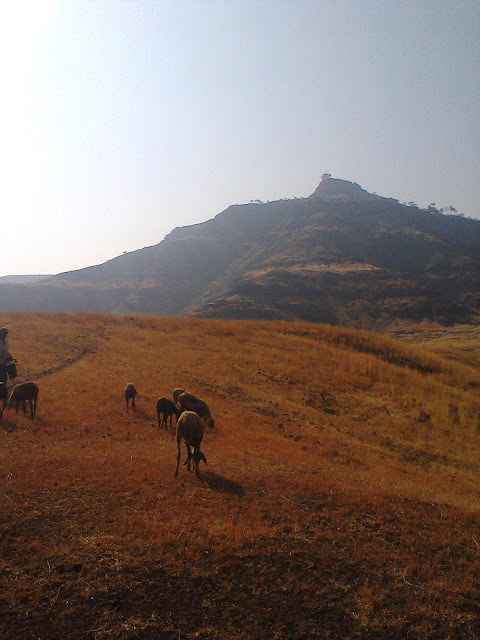 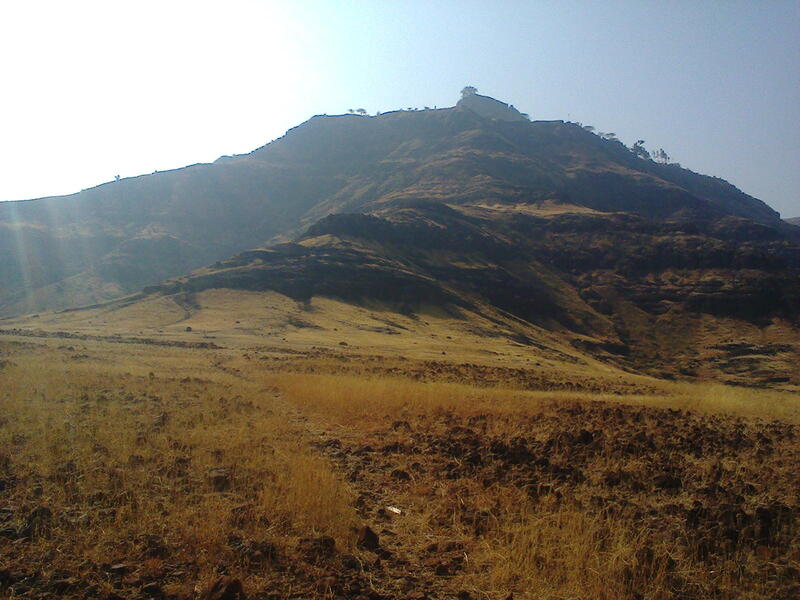 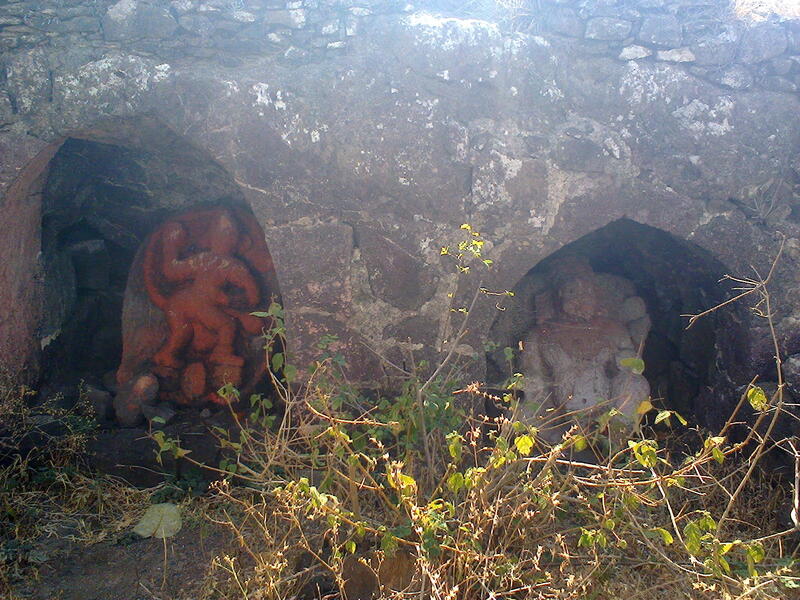 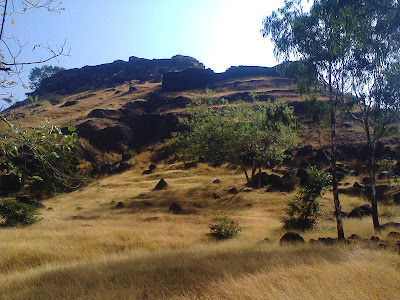 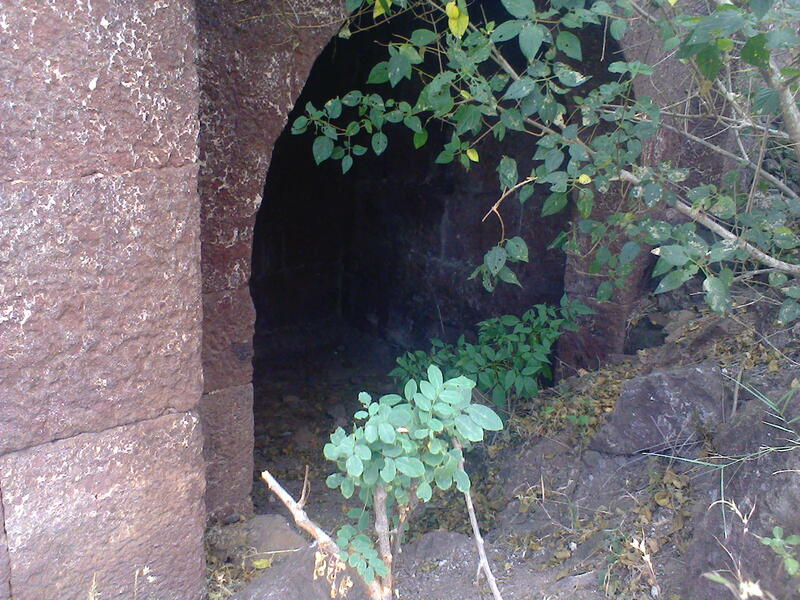 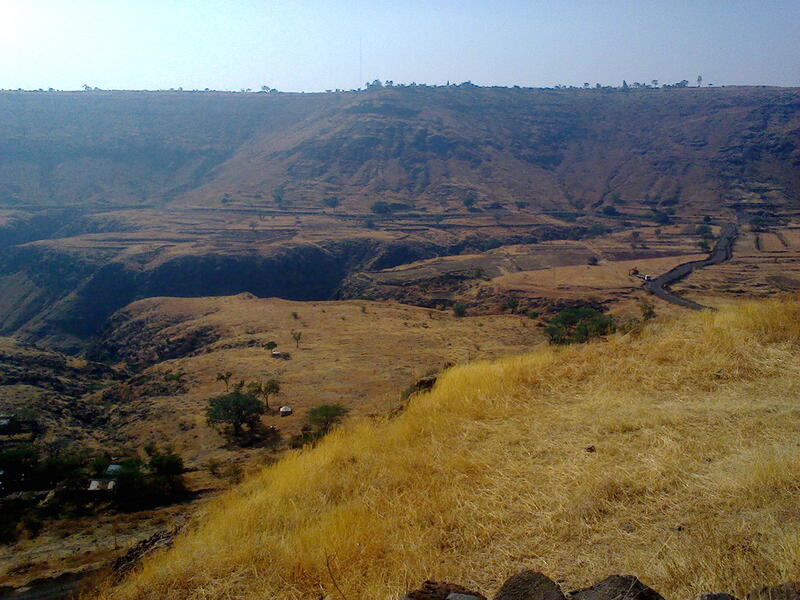 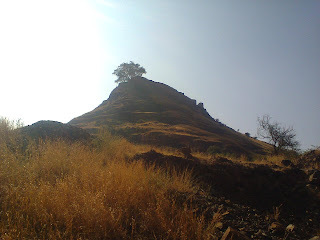 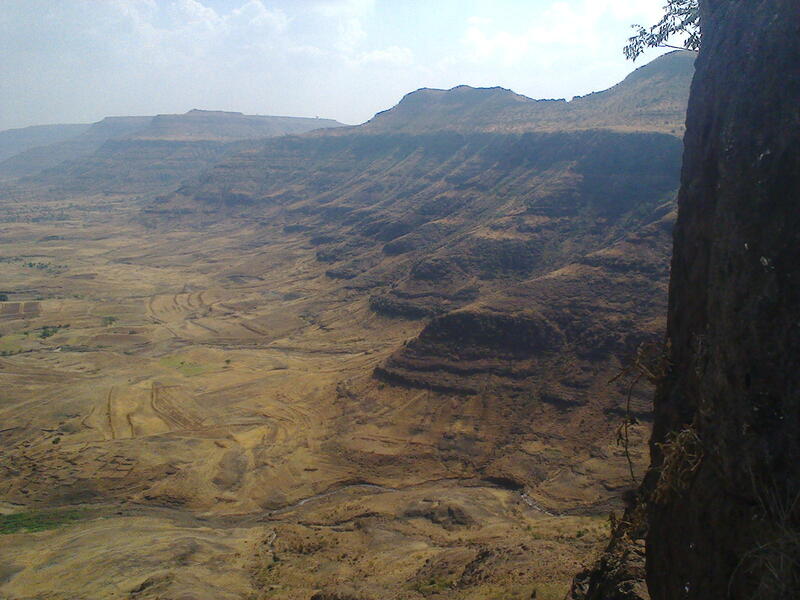 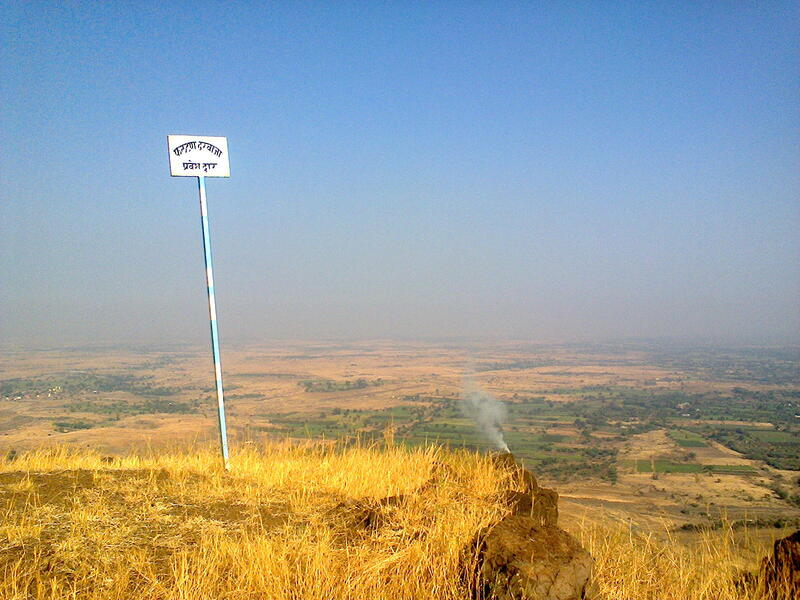 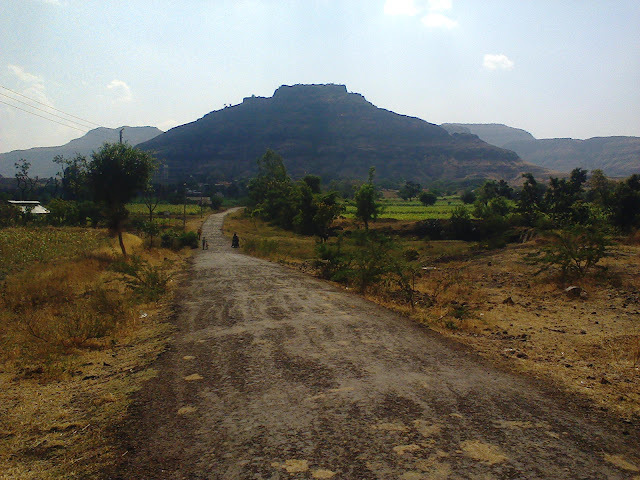 Santoshgad is situated near Phaltan taluka in Satara district. 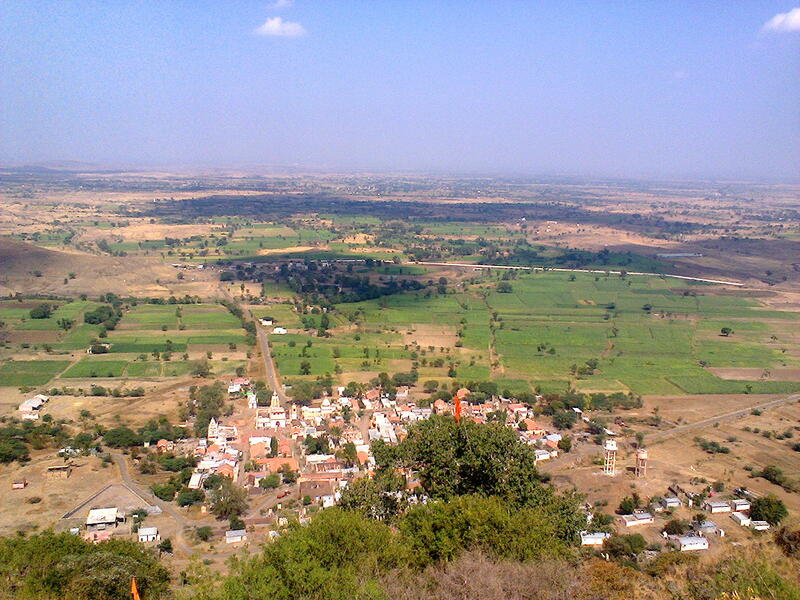 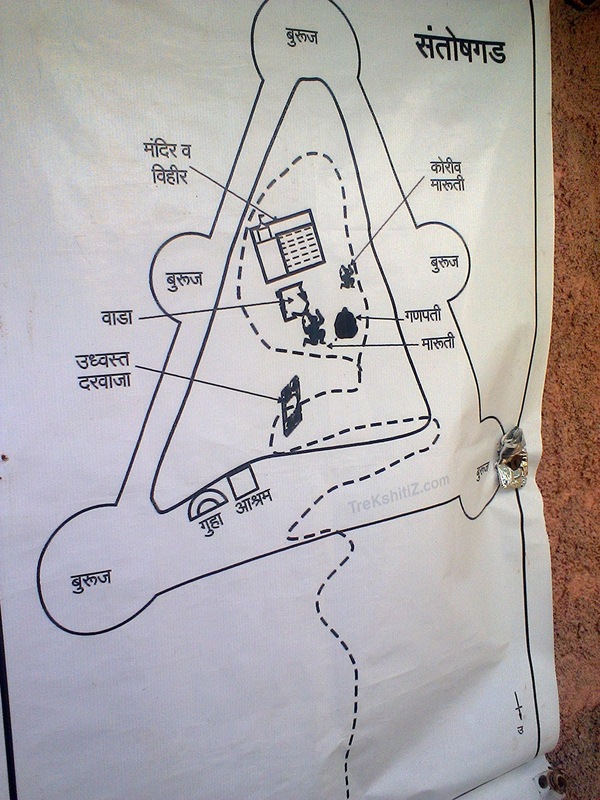 The base village is Tathwada. 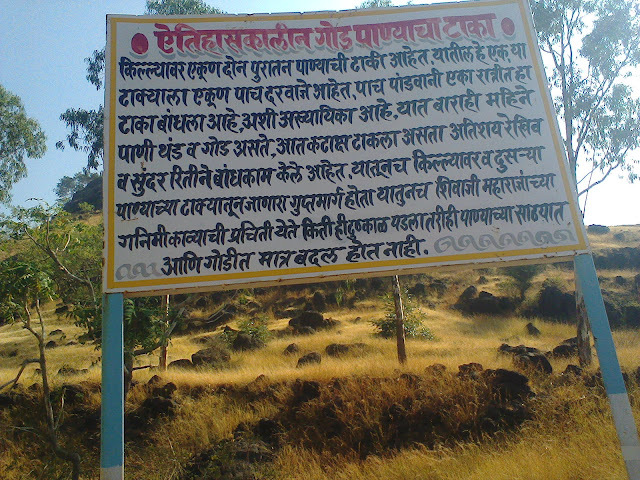 You can get state transport buses from Phaltan towards Tathwada. It is easy forts and take 30 minutes to climb. On the way you will see monastery having Valmiki rishi statue. 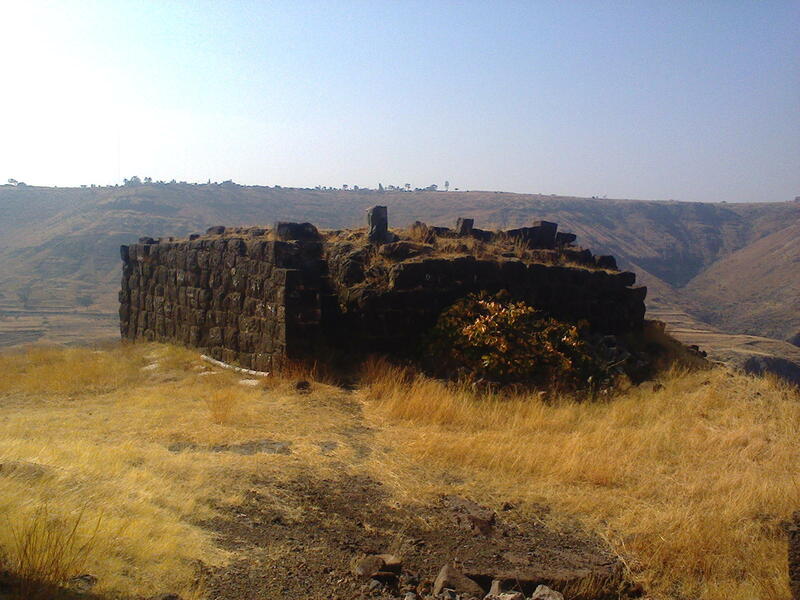 Nothing much left on the fort. Human take is the water tank on the fort. Rocky staricases have been made to go inside it. 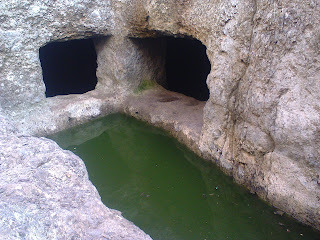 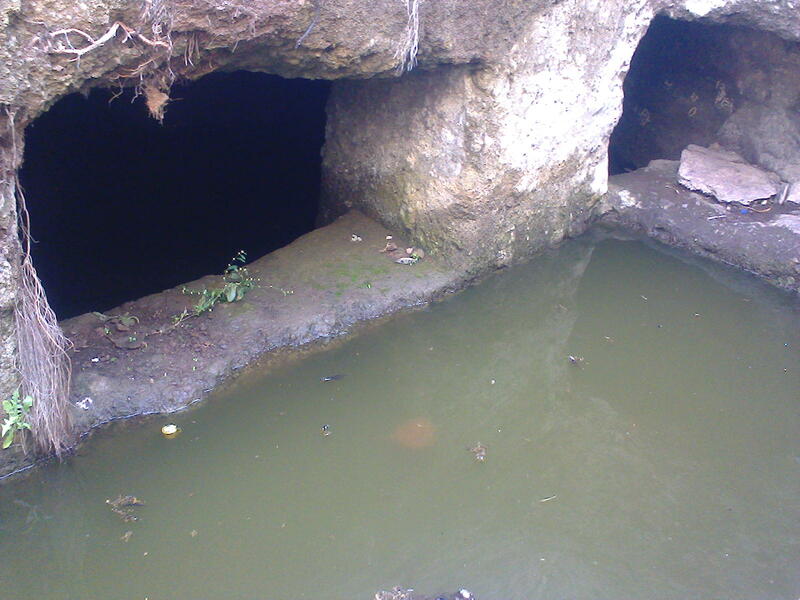 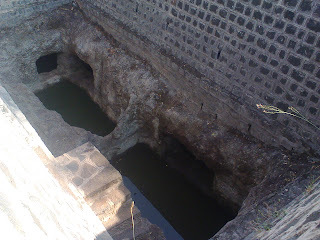 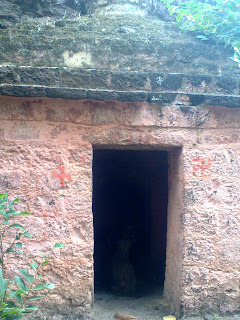 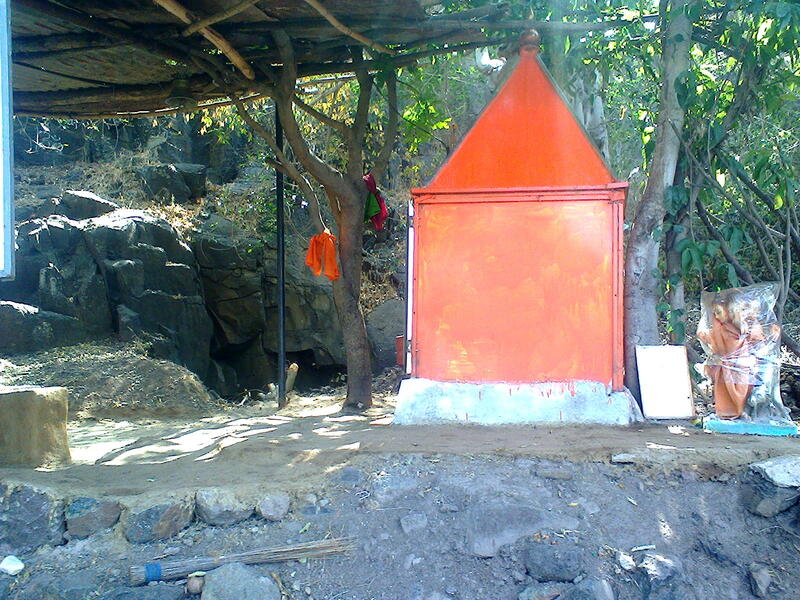 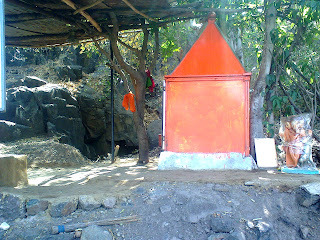 There is small Shiva temple inside the tank. 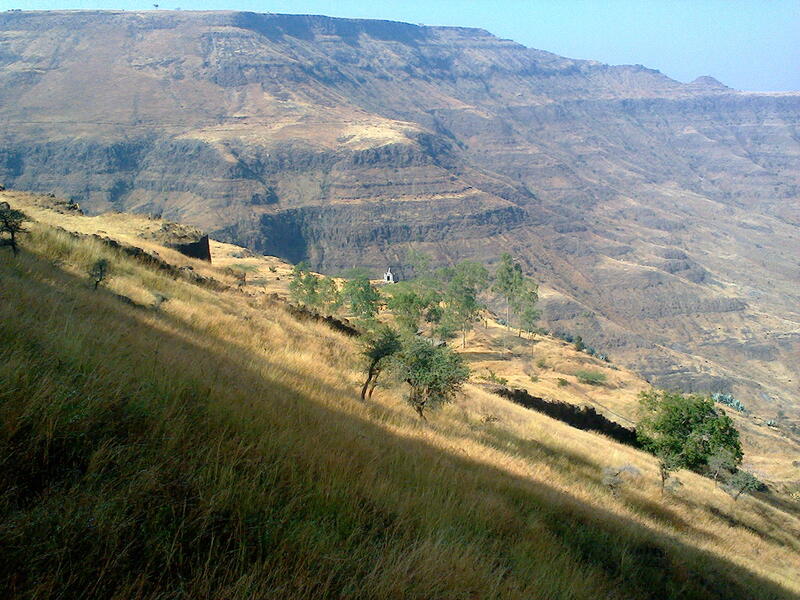 You will get amazing views of Sitamai mountain range. 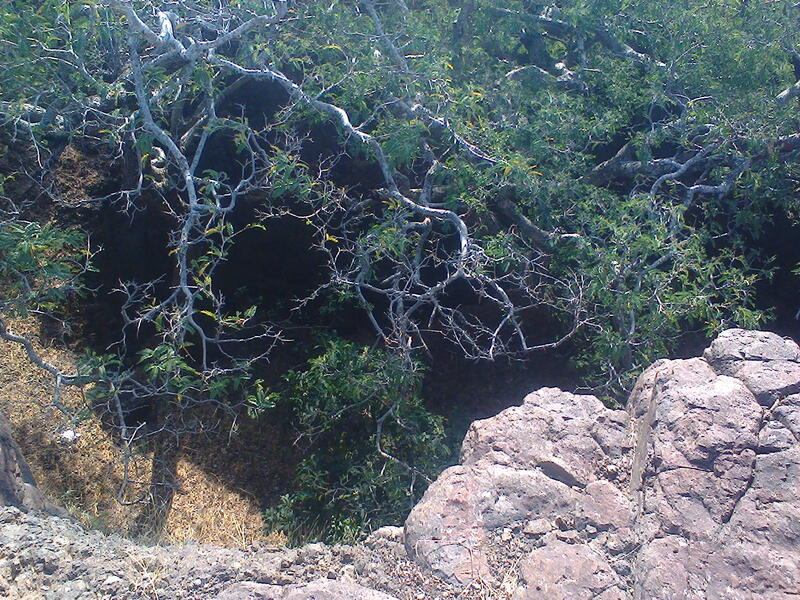 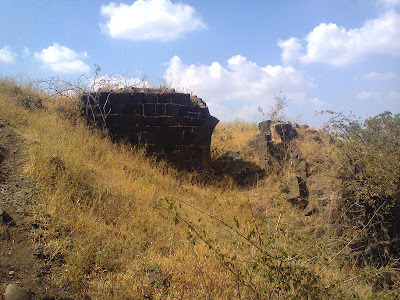 It's an easy fort near Phaltan. 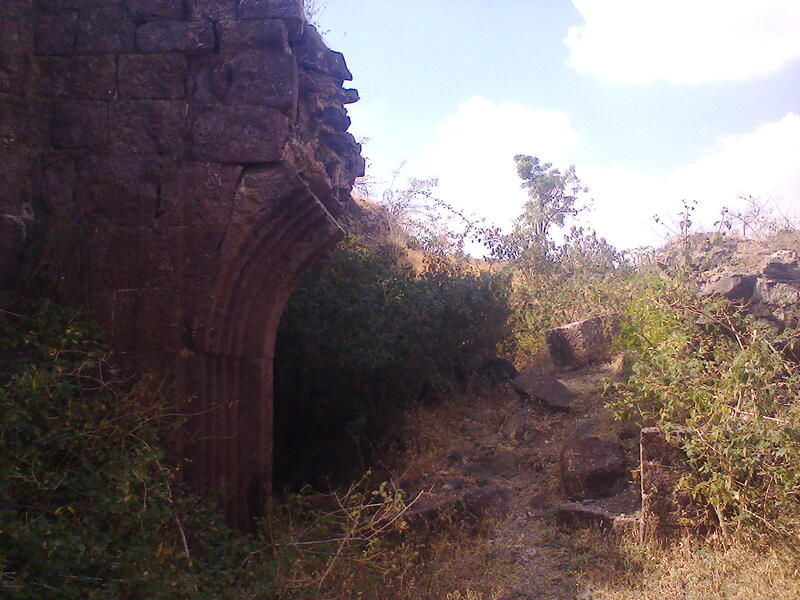 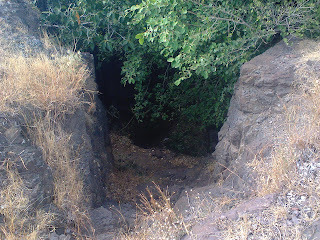 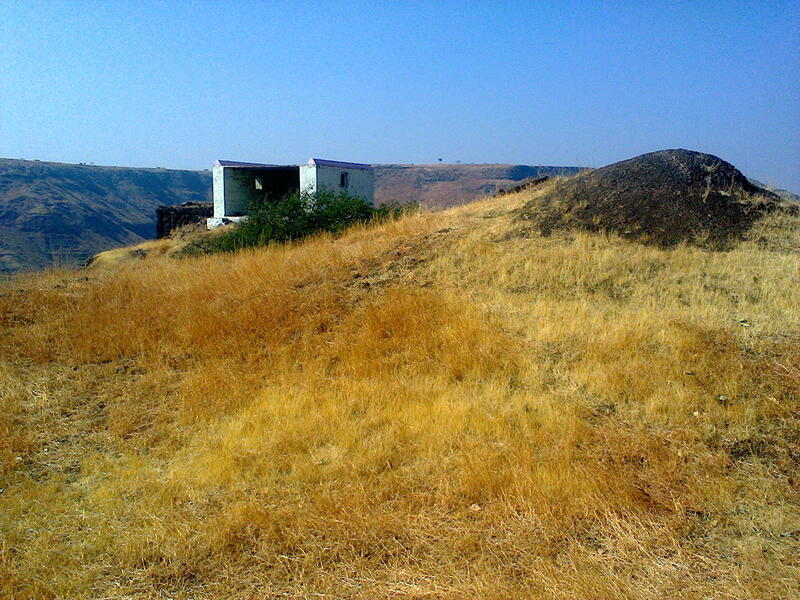 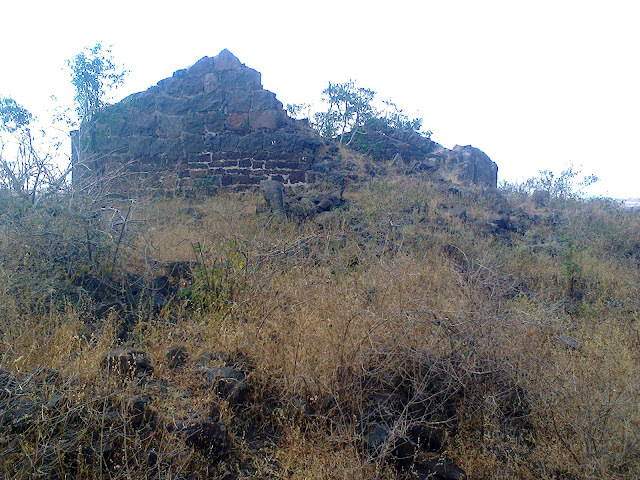 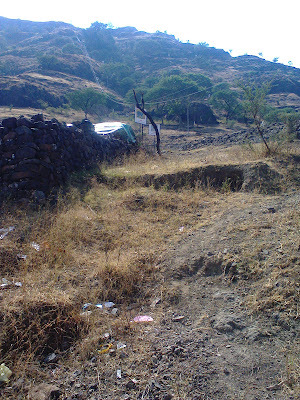 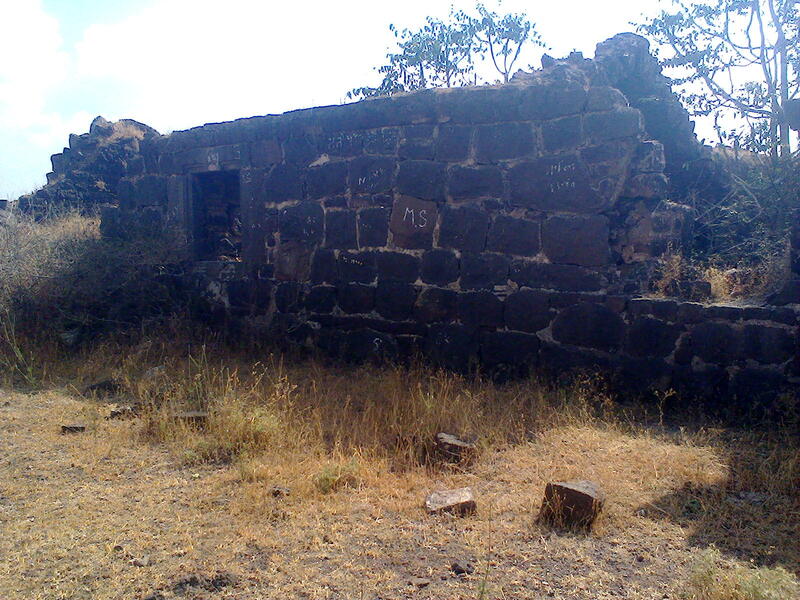 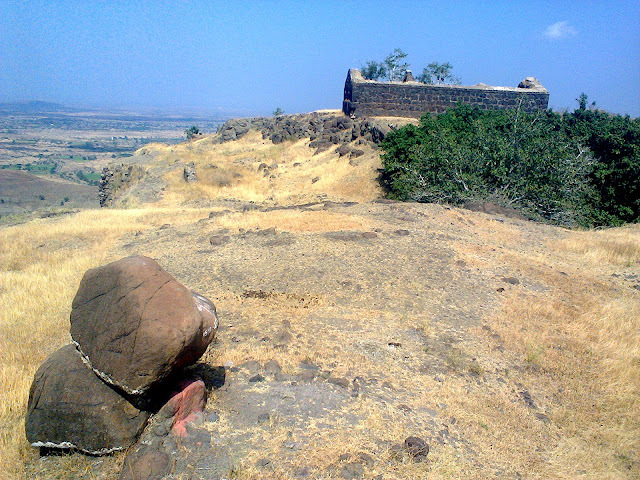 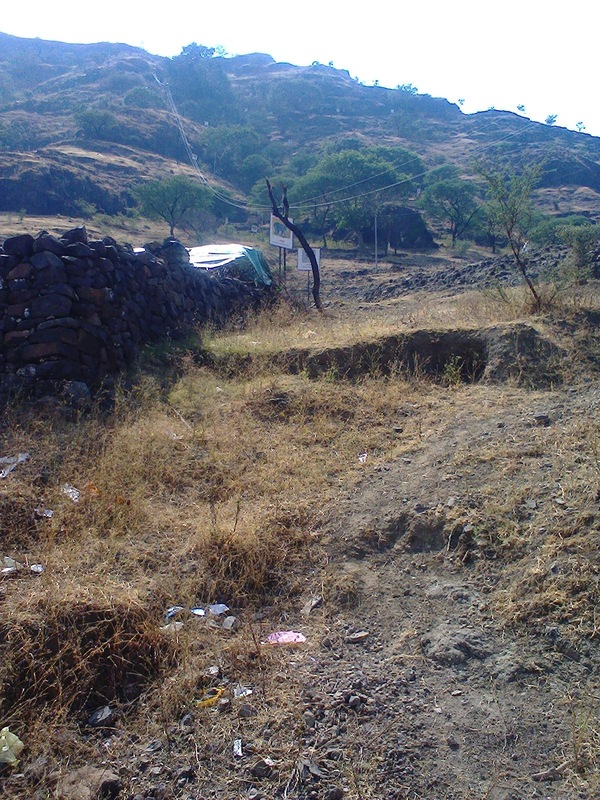 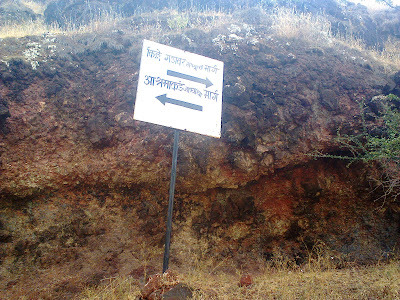 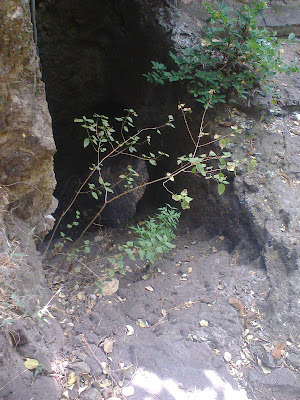 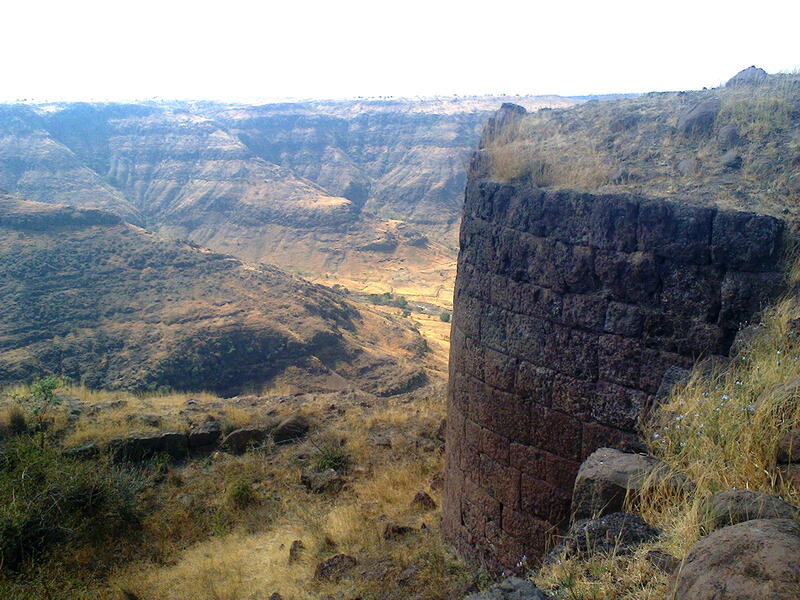 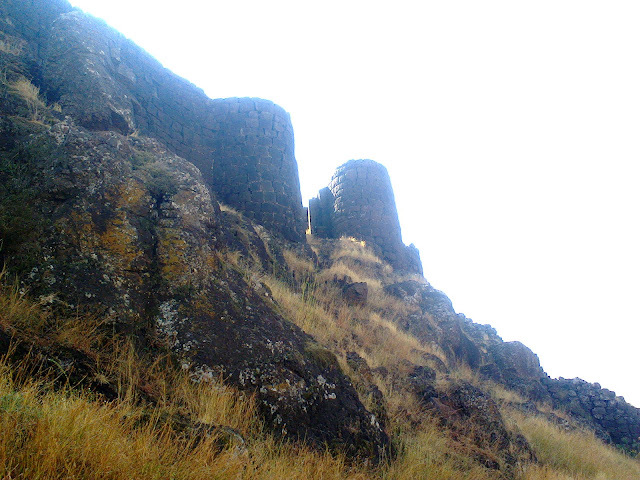 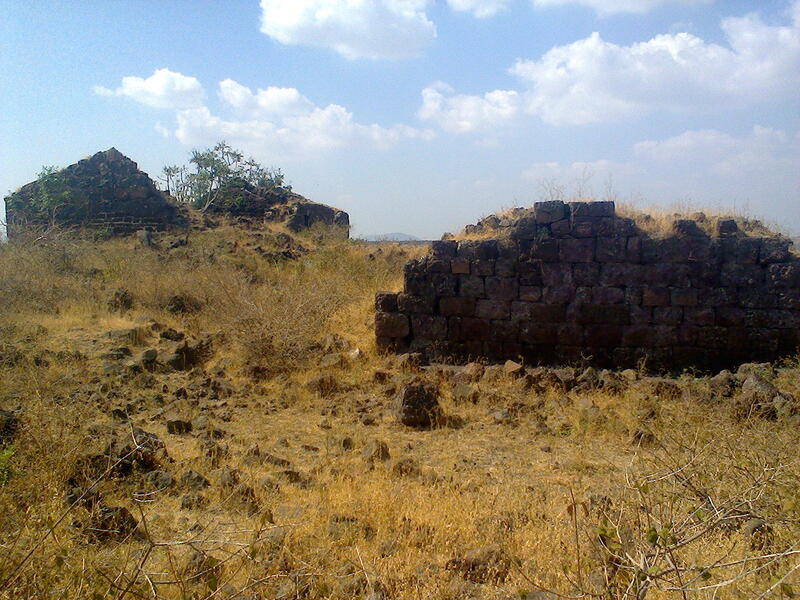 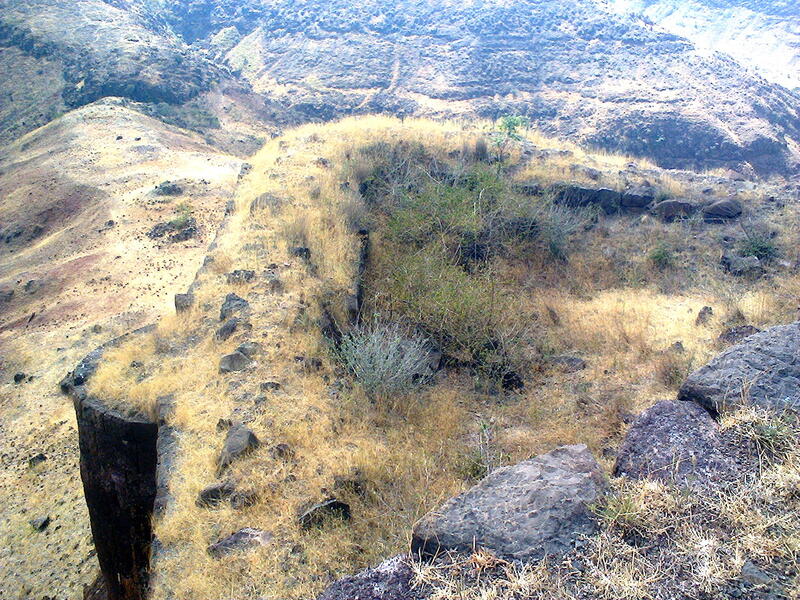 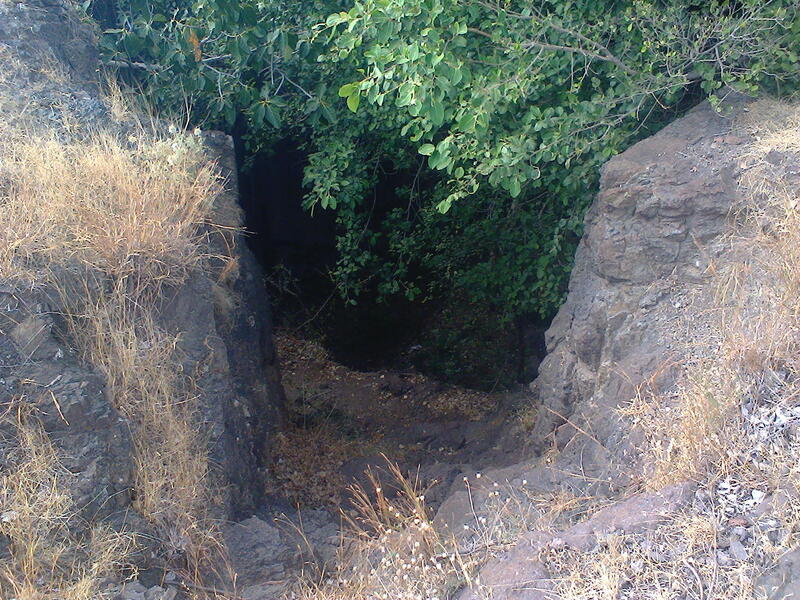 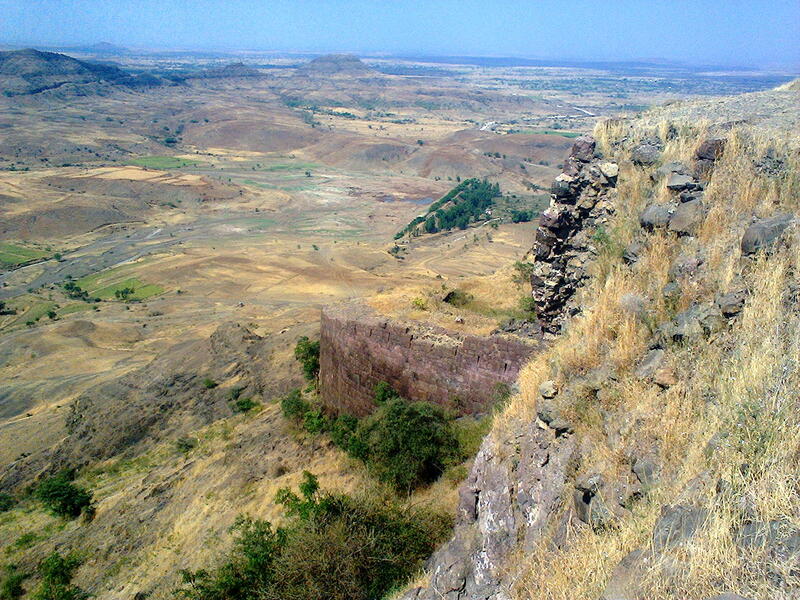 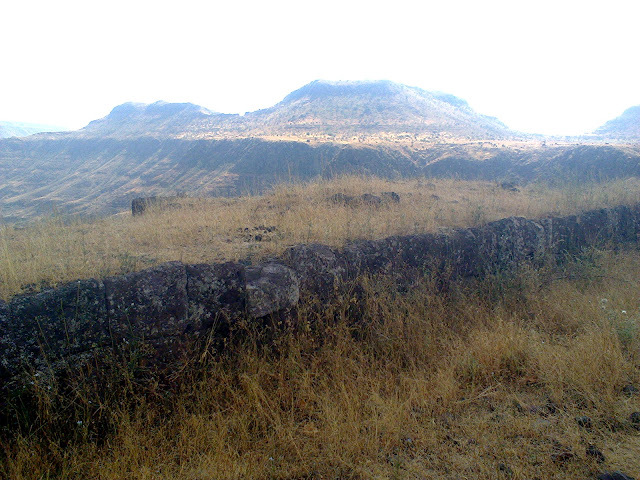 Two distinct parts of forts: Machi area where a small Ghodewadi village is situated. 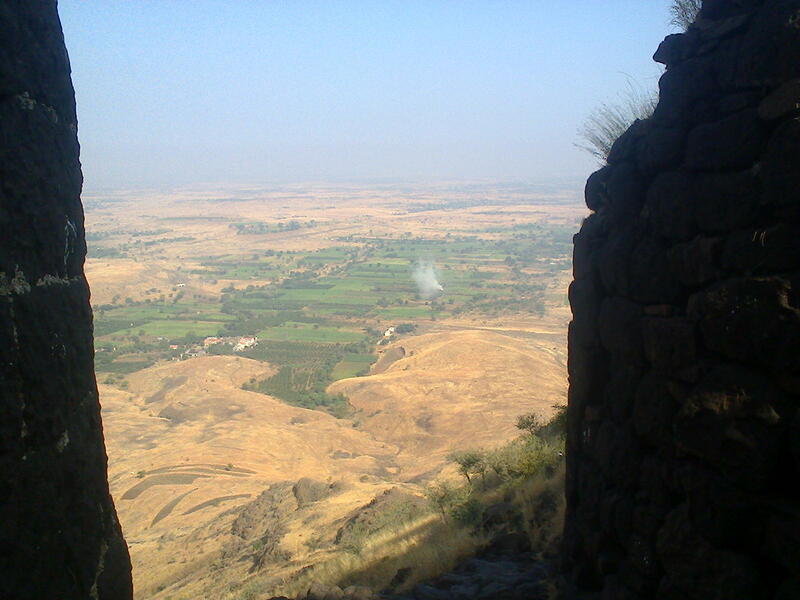 Top most part is Balekilla. Nothing is left except remnants of Sadar.